Inlays and Onlays are treatments that strengthen a damaged tooth while improving its appearance. 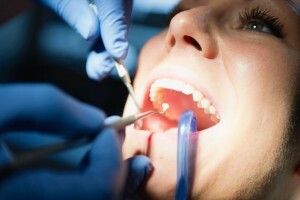 They are used to treat tooth decay or a badly damaged tooth that does not require a dental crown. Inlays/Onlays are constructed in a dental lab before the dentist fits and bonds them to the patient’s damaged tooth. A dental onlay is performed to cover one or more cusps or the whole biting surface of a tooth. Onlays are performed when the tooth is extremely damaged. Help us restore the health and beauty of your teeth. Visit Voyles Family Dental, and we will determine if you need fillings, inlays or onlays.